Anxiety or worry before dental treatment is extremely common. In fact, many patients of any age, can feel highly apprehensive before visiting the dentist. 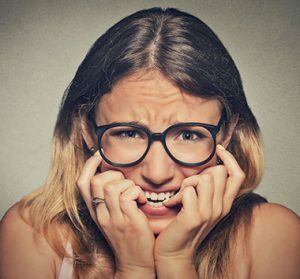 Our team at Broseley Dental Practice is ready to help and support patients who feel nervous prior to treatment as well as patients who have a real phobia of visiting the dentist – also known as dentophobia. For some patients, their phobia can be so extreme, they avoid visiting a dental surgery for many years. This may result in the deterioration of their teeth due to a lack of cleaning, a build-up of plaque and other problems. We know how debilitating dental phobia can be and will always try to support patients through their procedure. We pride ourselves in treating patients with respect and empathy at all times. Please let us know if you feel anxious about visiting us. We can discuss this with you and suggest ways to cope with your upcoming appointment. Avoiding regular check-ups can result in more treatment being required so we will work with you sensitively and gently to help you get the care you need.